It is always nice to have family come visit. An added bonus is that it gives us a chance to explore and try new places to eat. This time, it was my cousin who had come over from LA. I was after a place near Oxford Circus as we needed to be close to the theatre, to get there in time for an evening show. 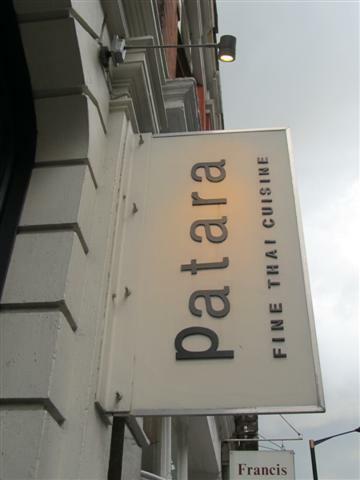 On recommendation from my brother, Patara was our restaurant for this evening. I always trust my brother’s restaurant recommendations and have never been disappointed by any of them to this day. 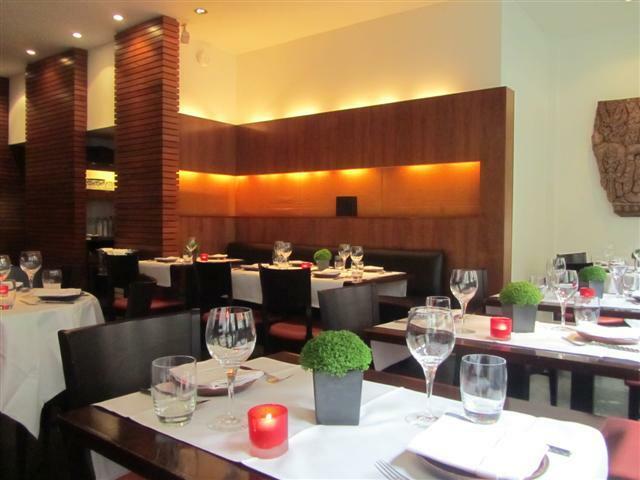 They are always outstanding restaurants and so I was excited to try Patara. The entrance to Patara was lit with orange and yellow panels. There was a sofa area opposite the bar. We were seated here while our table was being prepared. Around the corner, it opened up into a big, light and airy dining area. 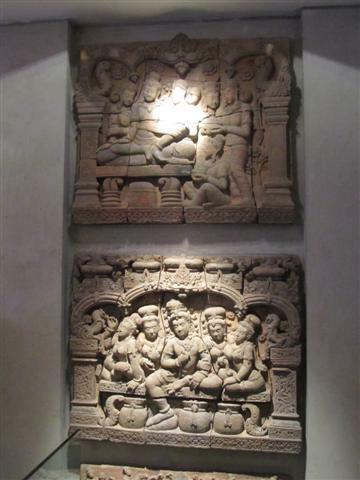 The walls were decorated with ceramic artefacts. It all felt really clean and organised. There was attention to detail in everything. A nice touch were the little green topiary plants on each table. 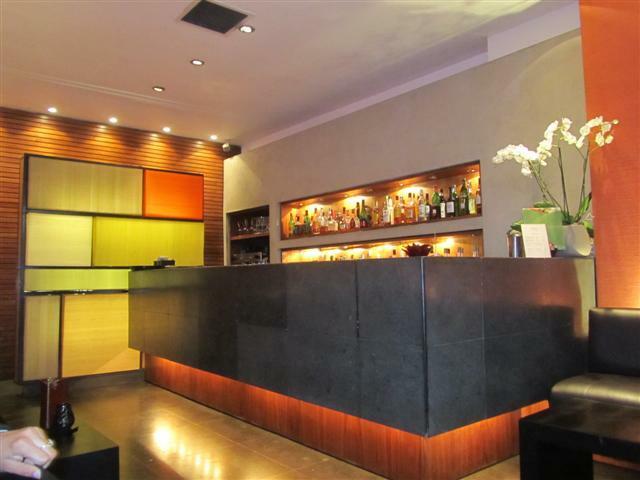 The staff were extremely friendly and polite and they made us feel really welcome. 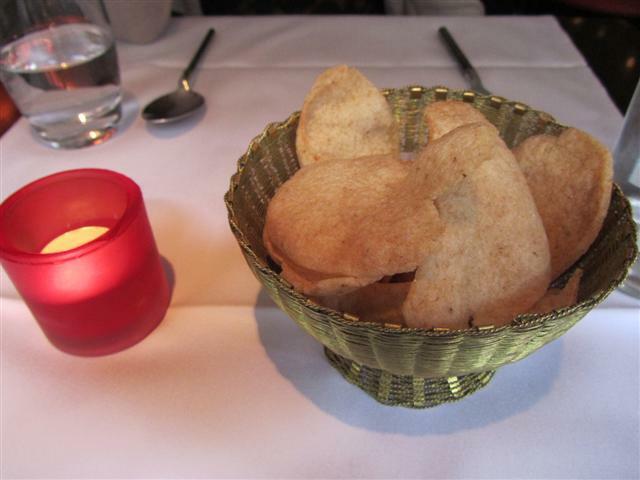 While we were deciding on what to order, we were given some prawn crackers to munch on. They came in a little gold basket. The crackers were crispy and they had a slight spicy heat to them. Now some may say this is a bit of an odd craving to have, but both my cousin and I were in the need of some aubergine, or as my cousin called it, “eggplant”. There were two dishes that we spotted on the menu, but both said that they were seasonal. It was our lucky day as the Thai aubergine was in season. The Gang Ped Nua was right up our street. 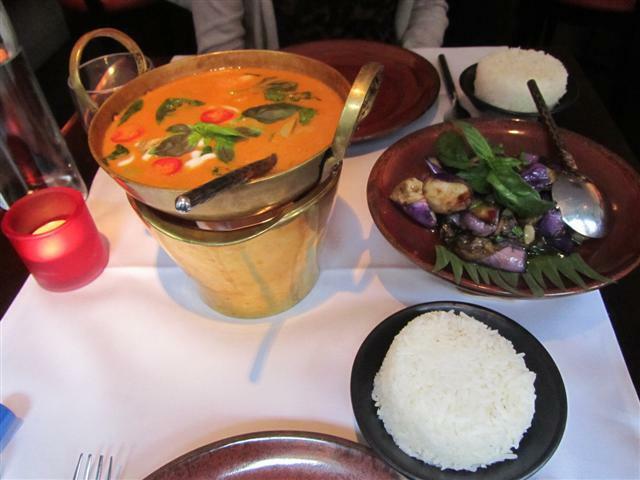 It was a red coconut curry with Thai eggplant and sweet basil. We chose to have it with chicken. This dish was perfect in every way. It was rich, creamy and had plenty of chicken and eggplant in it. The chicken was really tender and soft and together with the eggplant, they just melted in your mouth. 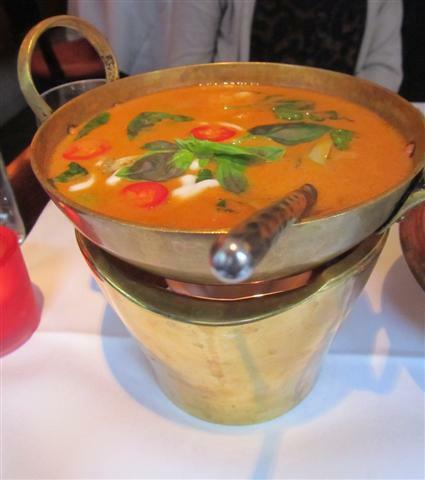 The red curry was presented in a gold dish and it had the tealight in the base, to keep the dish warm. To complement the rich curry, we had the steamed fragrant rice. Both the rice and curry were of a good portion size, so much so that we were able to share the one main dish of Gang Ped Nua. The side dish again had to be one that would satisfy our craving. 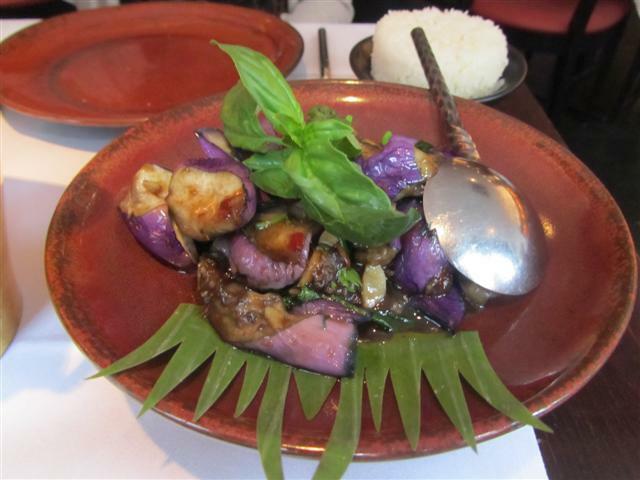 The Pad Makua Yao was Thai long aubergines cooked in yellow bean sauce with sweet basil. The aubergine was soft and chunky and had not been overcooked. It had a great flavour to it with the sauce. All the dishes were presented well and the food was of a high standard. 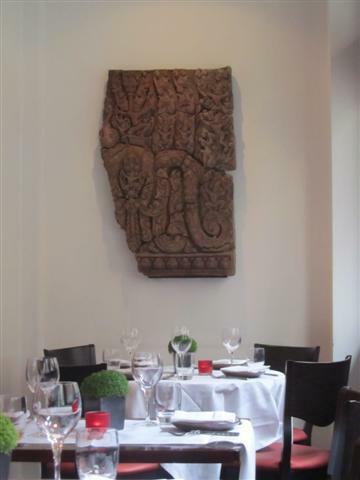 There is no doubt that Patara does good quality fine Thai cuisine at its best.